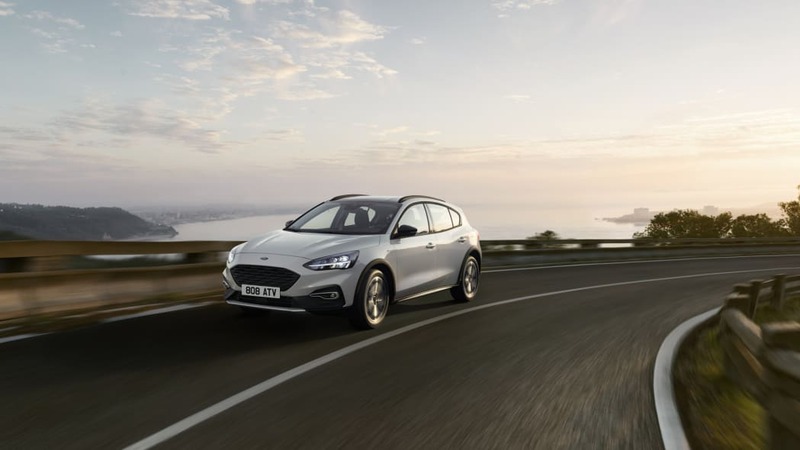 As predicted in teaser material, Ford presented the all-new, global Ford Focus today. 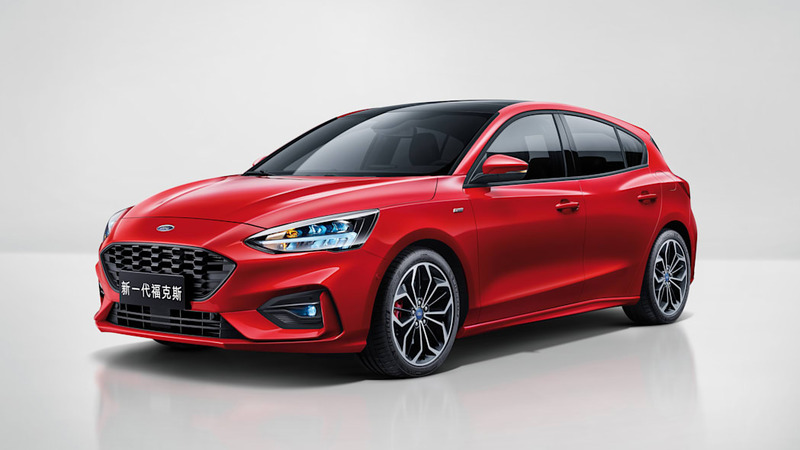 It will be manufactured in China, and it will go on sale there and in Europe this year and on the North American market in the second half of 2019. 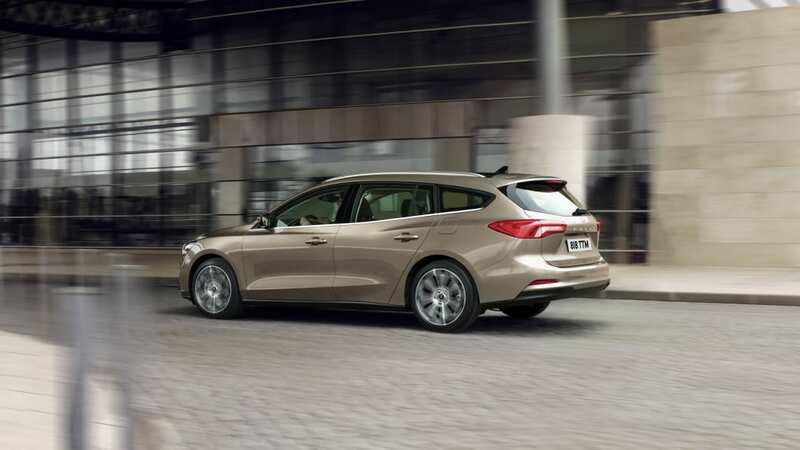 The new fourth-generation Focus is redesigned from the wheels up, according to Ford. 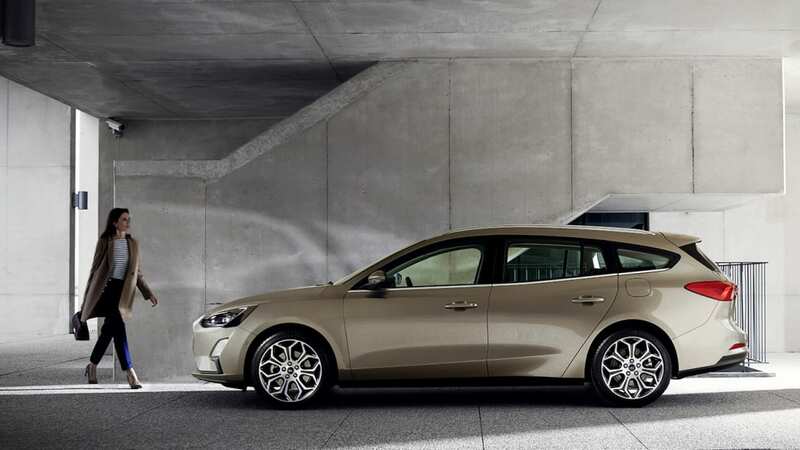 It will be available in three bodystyles, or the 5-door hatchback, the 4-door sedan and a 5-door wagon. 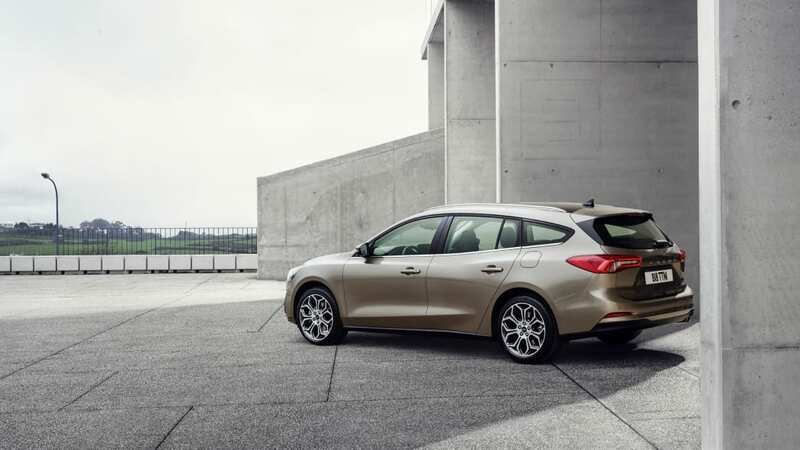 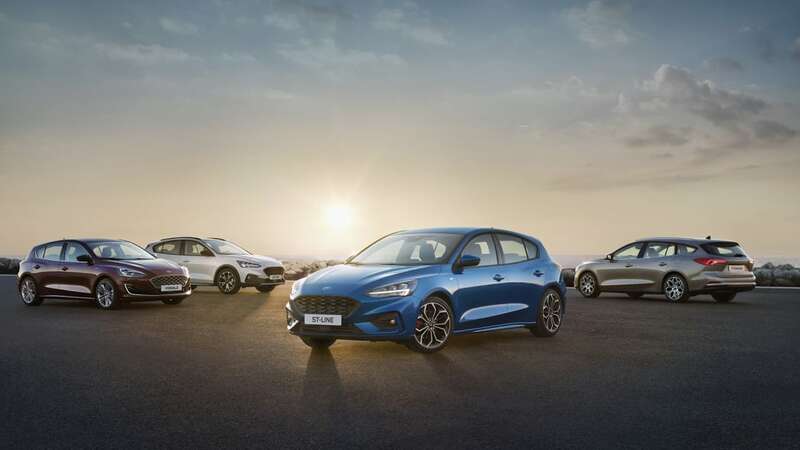 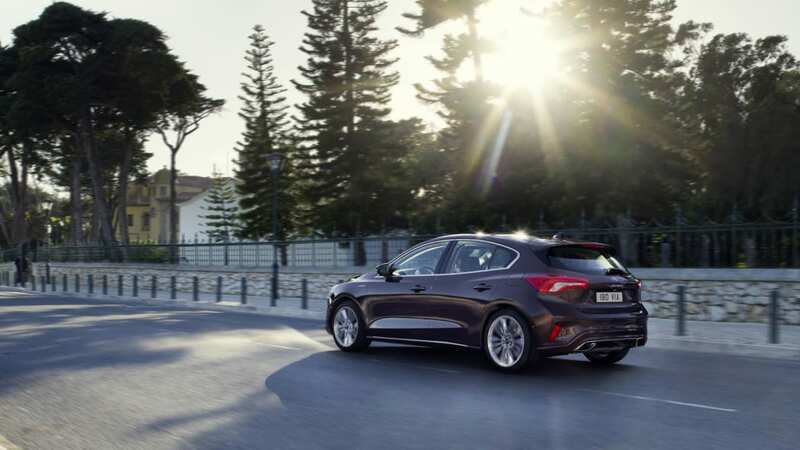 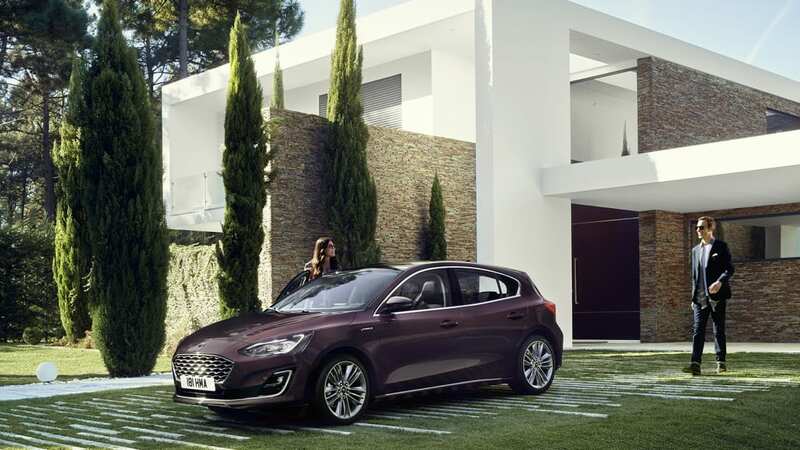 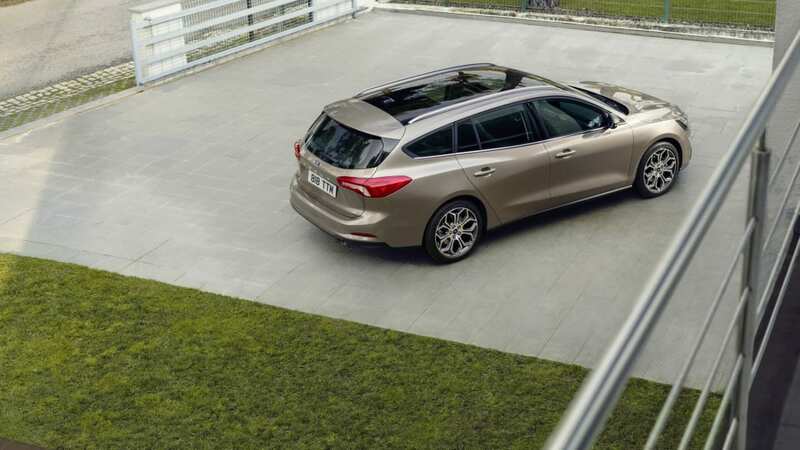 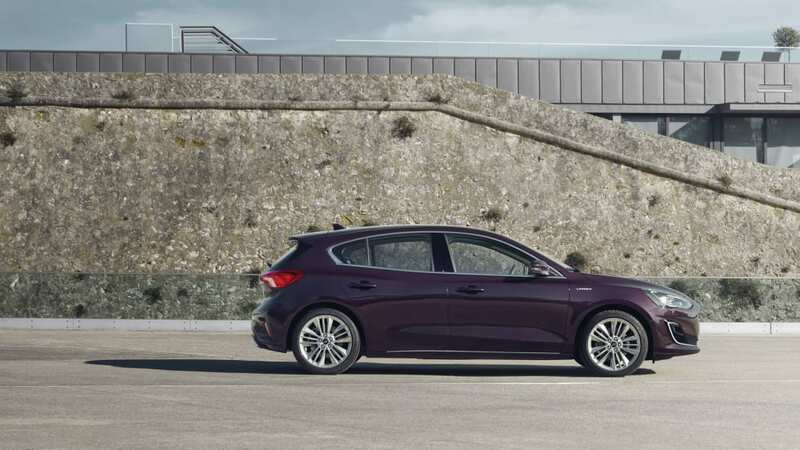 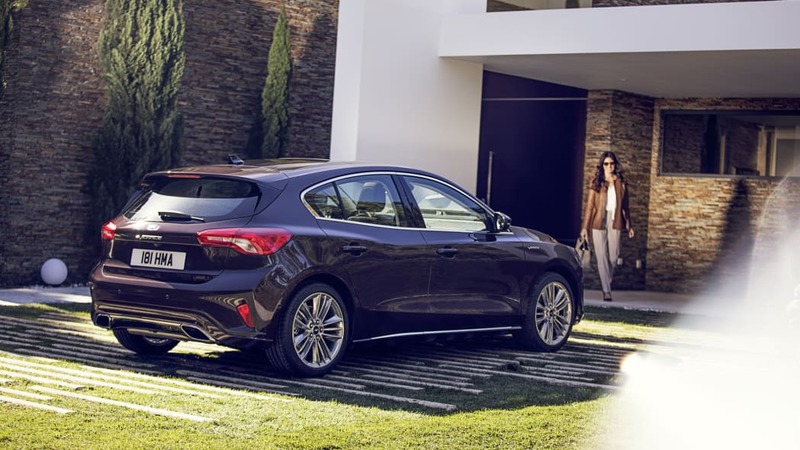 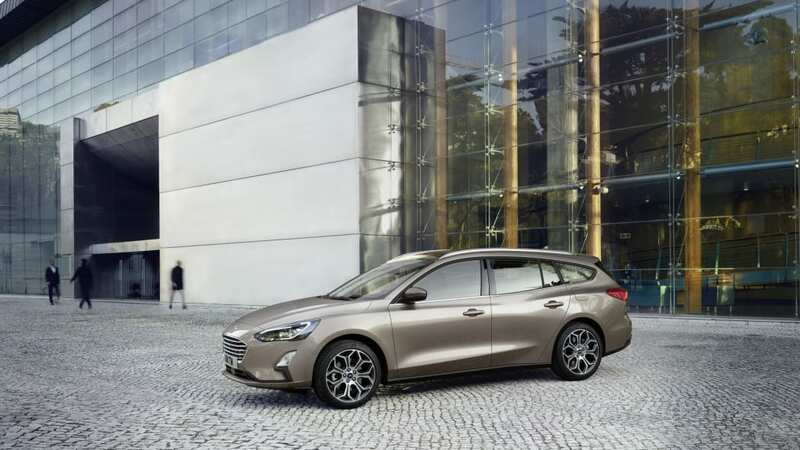 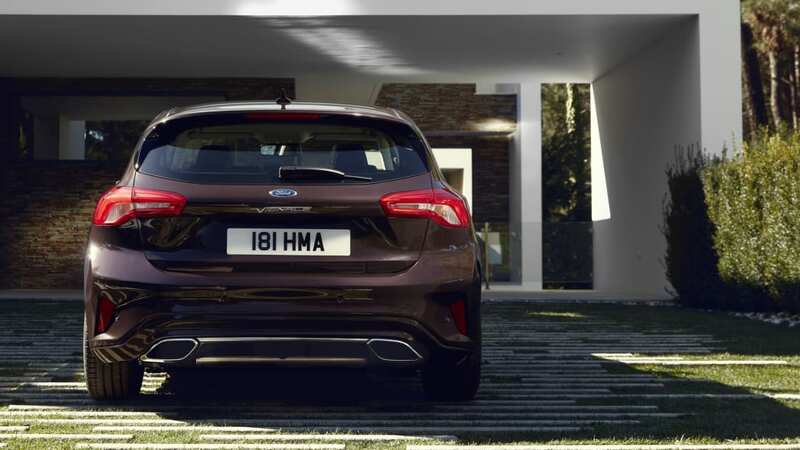 The various versions introduced include the Active, Titanium, Vignale and sporty ST-Line. 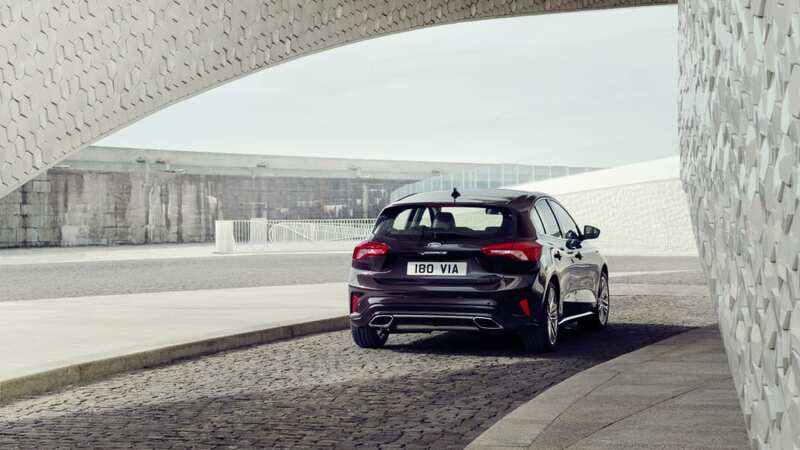 The performance RS variant isn't yet mentioned, nor is its power output. 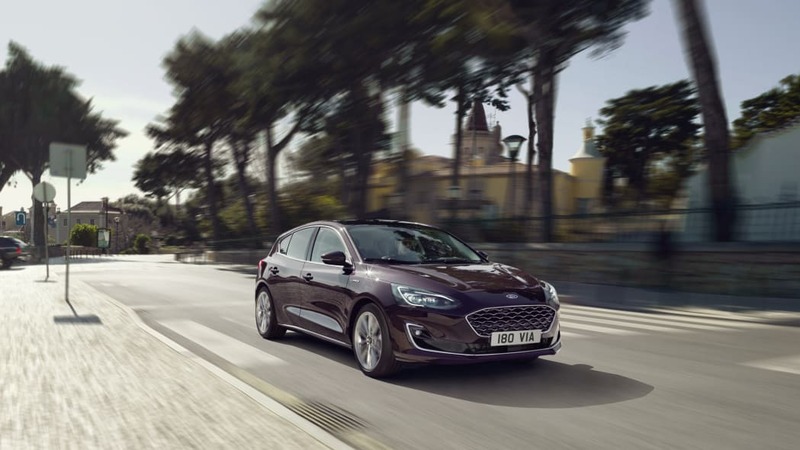 Here is everything we know about the Focus Active. 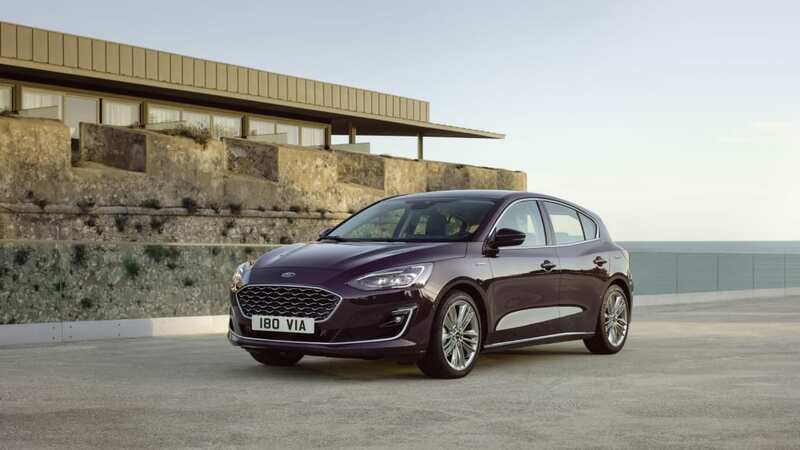 Engines available at launch, depending on the market, are the 1-liter EcoBoost, two 1.5-liter EcoBoosts with different tunes and a 2-liter EcoBlue diesel; the North American engine options will be mentioned closer to the sales date, and presumably also the availability of the sedan and wagon bodies, or the availability of a manual gearbox for American customers. 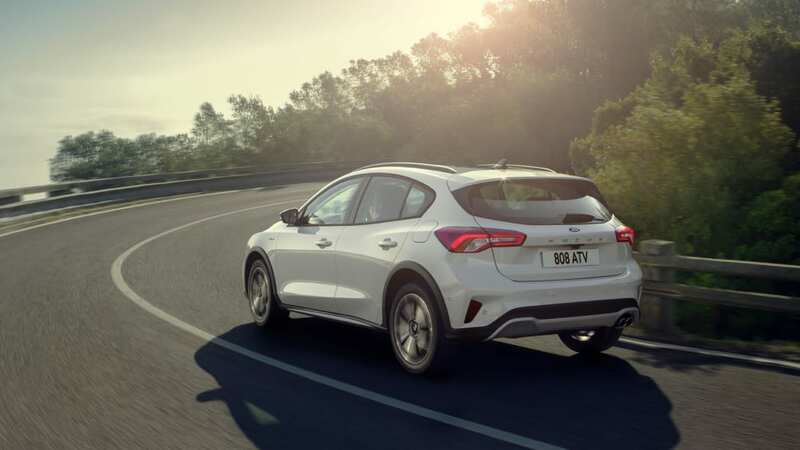 There's a new eight-speed automatic transmission, which features Adaptive Shift Scheduling and shift-smoothing, clutch pressure adjusting Adaptive Shift Quality Control. 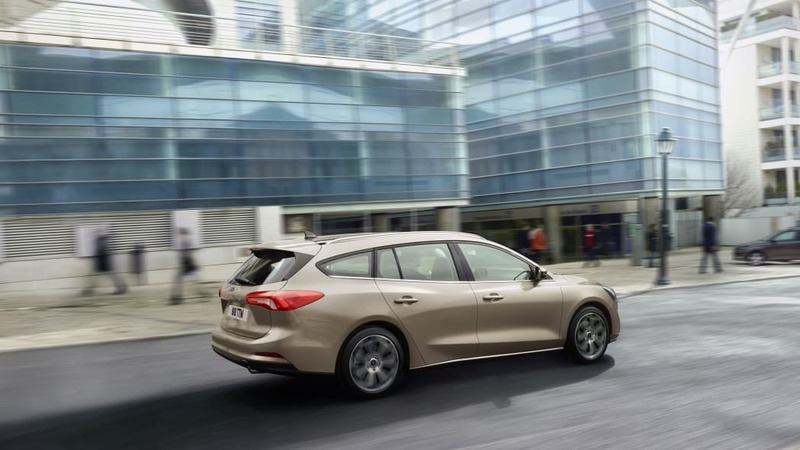 Drive mode selection is standard, with Normal, Sport and Eco to choose from. 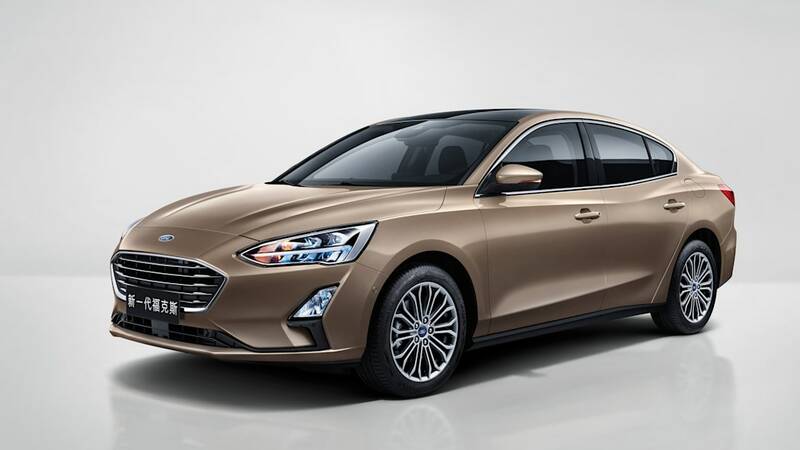 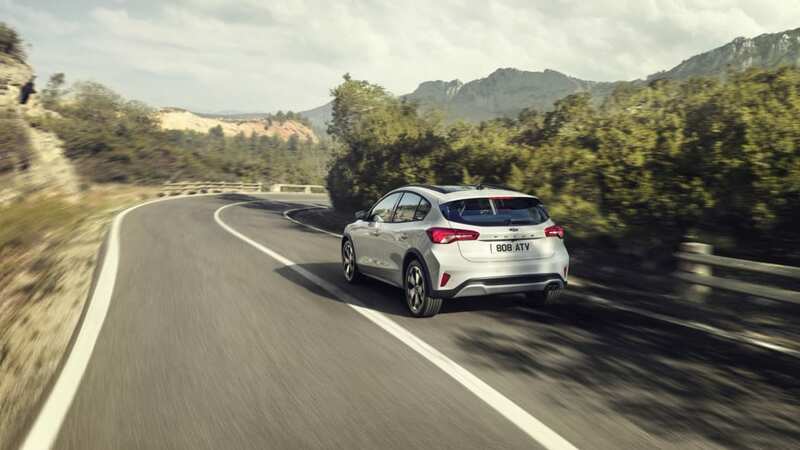 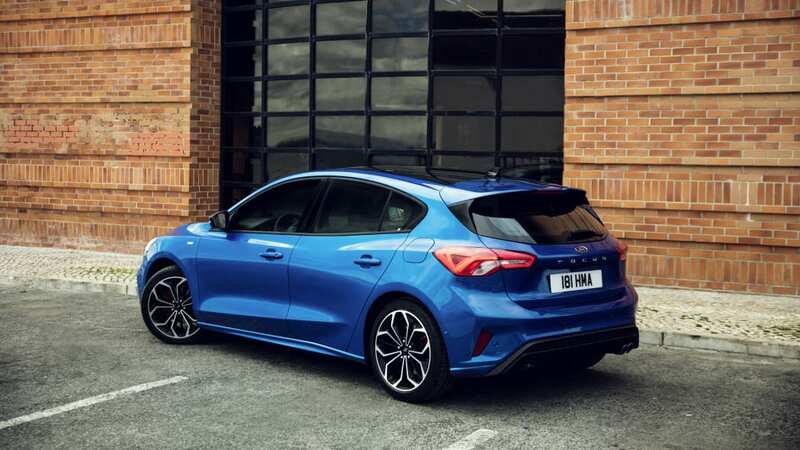 Ford says the chassis has been completely redesigned, with the plan to make it more refined yet more fun to drive, through improved torsional rigidity; that matches what Toyota said about the competing 2019 Corolla, for instance. 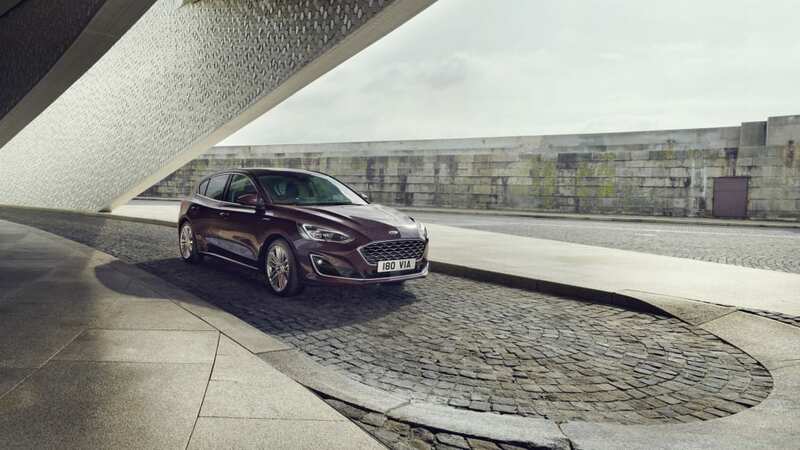 As for the safety tech, the available systems in Ford's new Co-Pilot360 assist suite are adaptive cruise control, adaptive headlights with a new, camera-based predictive curve light which also notes road signs, Active Parking Assist, and Evasive Steering Assist which helps steer around obstacles in sudden situations. 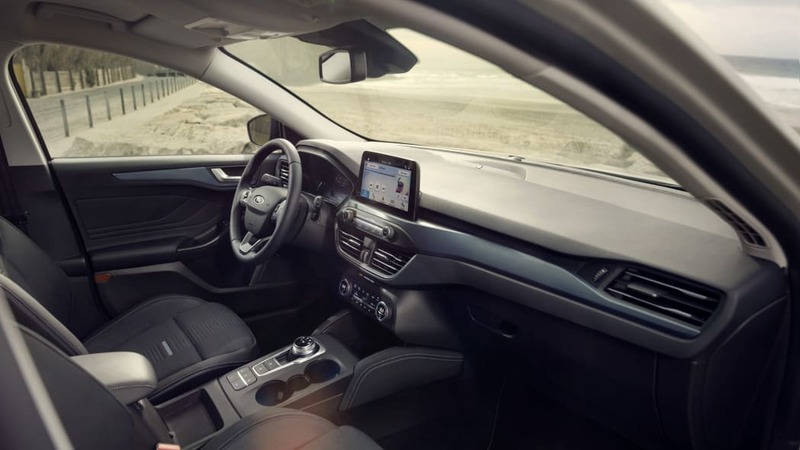 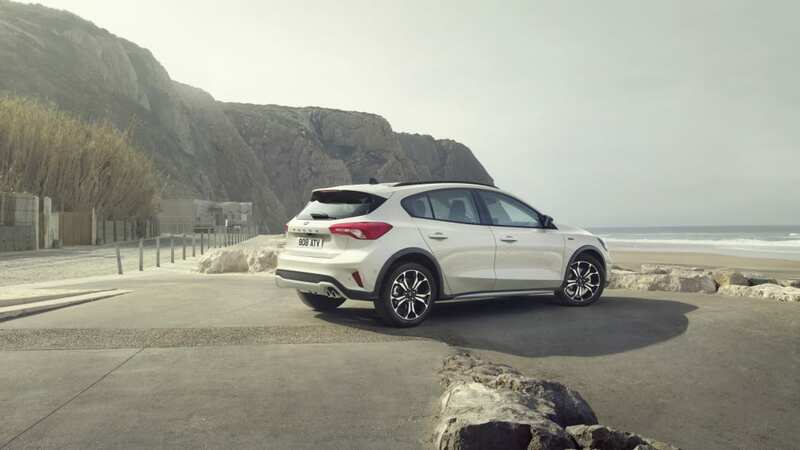 The Focus also comes with Wi-Fi connectivity, wireless charging and SYNC 3. 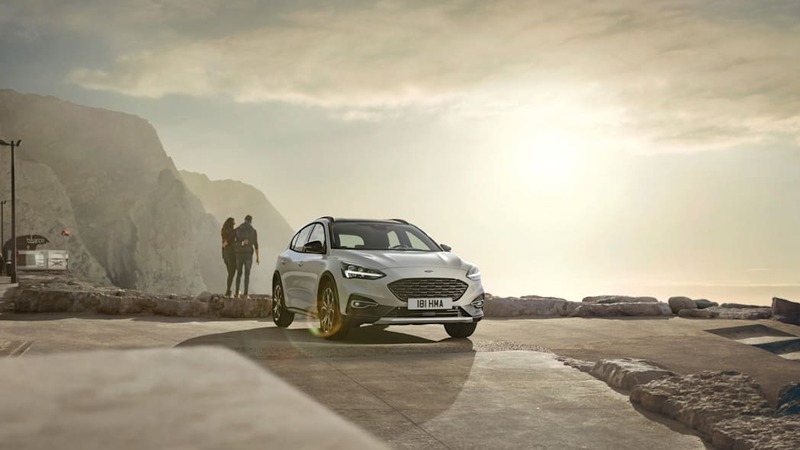 Speaking of charging, electric or hybrid variants have not yet been mentioned by Ford. 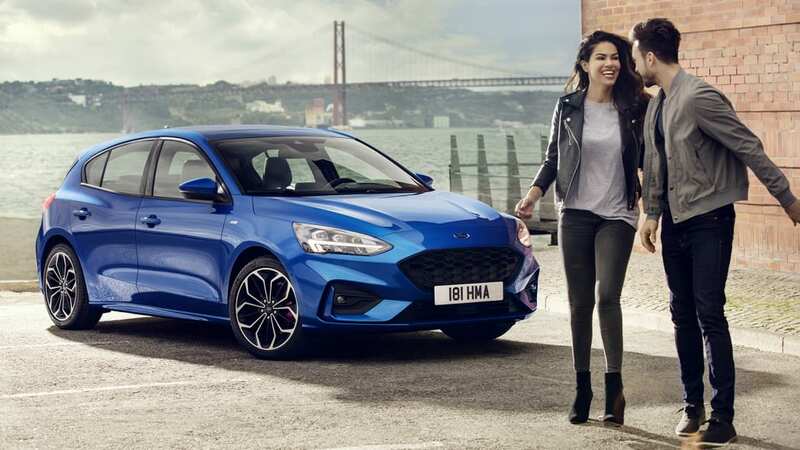 The car's design, still recognizably Focus-like, is now more cab-rearward than in the predecessor, but Ford promises more interior space despite dedicating more of the car's footprint to the hood. 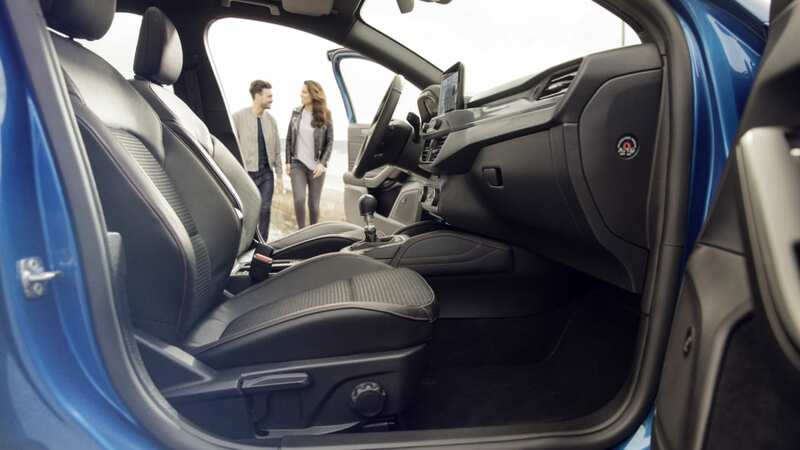 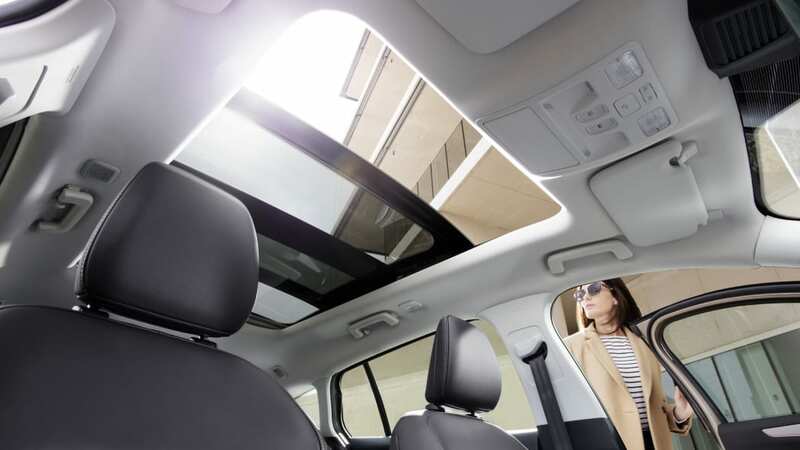 Some of that has been managed with cabin design for easier entry and exit, and the back seat gains shoulder and leg room. 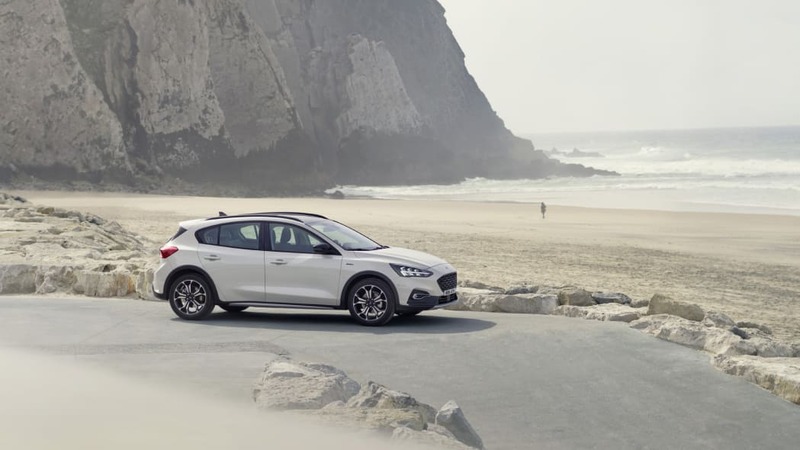 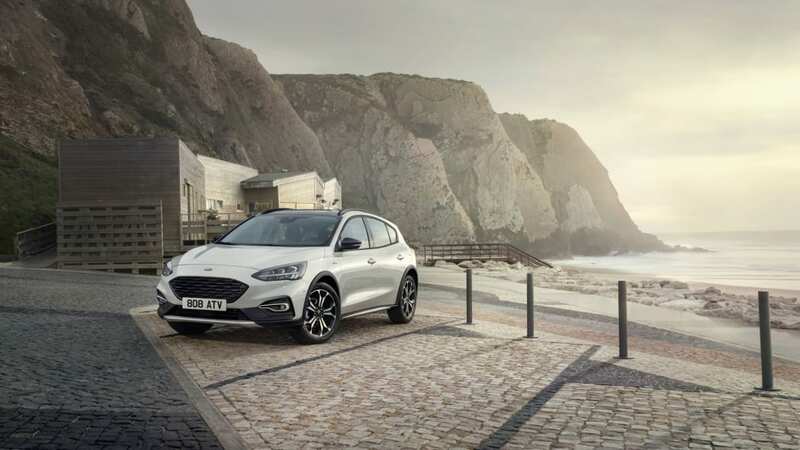 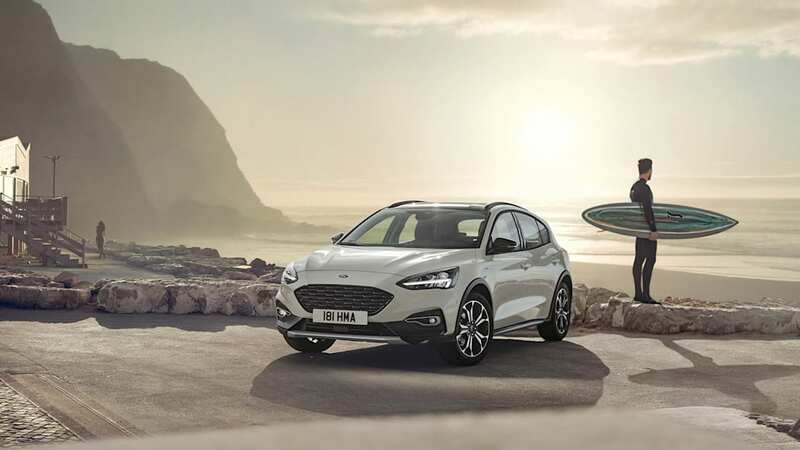 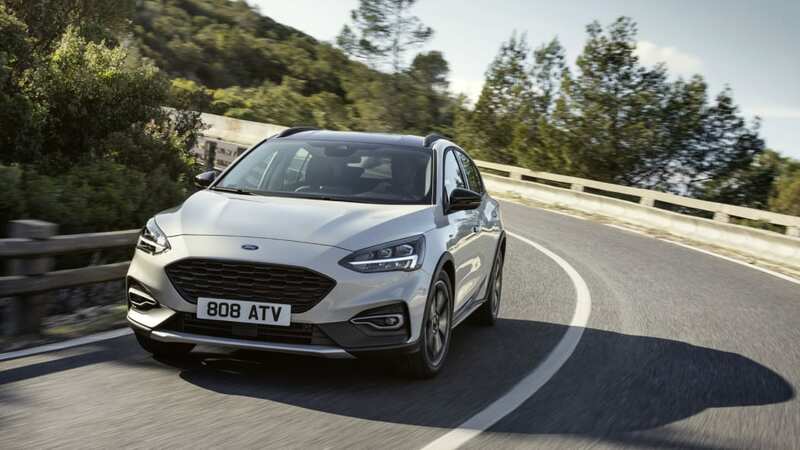 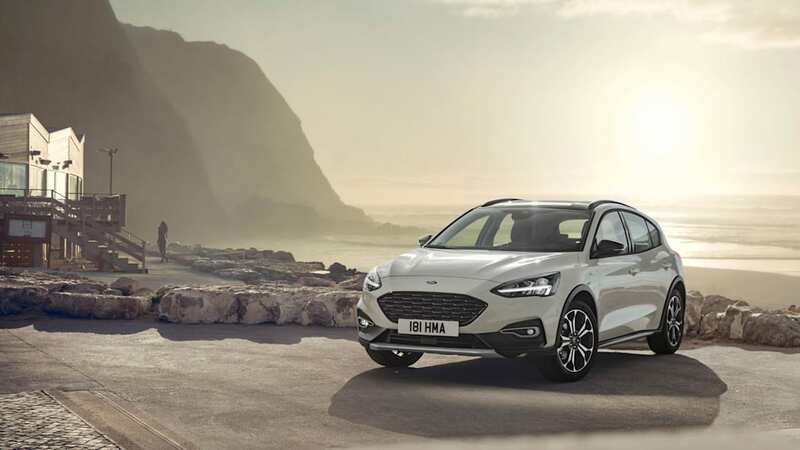 The North American version could still see some changes, as it will be introduced later — and Ford says the Focus will be thoroughly localized to suit every region. 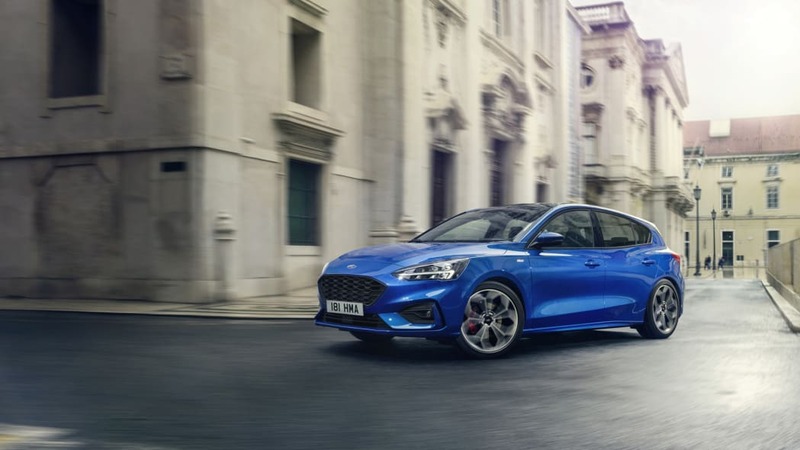 "We'll tailor which cars in the Focus lineup we offer in markets around the world to ensure we best meet customers' different needs and preferences," says Ford's Jim Farley.